When the Hallowmas comes, you need suspense horror sound effects as a prelude, which makes you have an unforgettable day. Following this article, you will get the best way for suspense horror sound effects free download easily. Free download the below downloader. It helps you to play it directly. In the logical reasoning video, the main character uses his extraordinary logical thinking to reason and promote the development of the plot, so the story is often unexpected and the plot is exciting. When you hear the suspense sounds without a picture, you will feel a strong sense of picture. Don’t you feel excited and inspired? 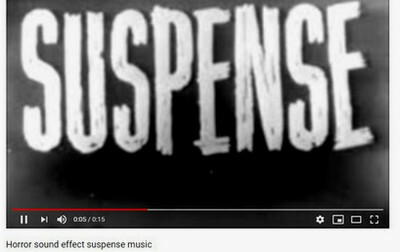 Suspense horror sound effects is very vivid, so that I feel so scared. Are you looking for downloader to suspense horror sound effects? I have no hesitation in recommending Free HD Video Converter Factory to you in this article. Just keep reading, it’s easy for you to use the tool for suspense horror sound effects free download. Free HD Video Converter Factory offers an easy and quick method to download suspense horror sound effects from YouTube, so it should be highly recommended for you. It can help you to skip the annoying ads. 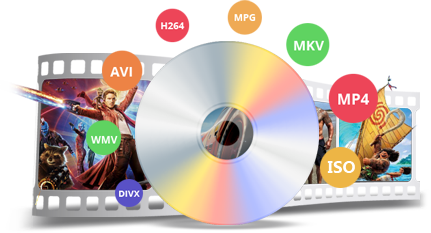 Apart from that, it supports over 300 digital formats conversion, such as MKV, MP4, WAV, ALAC, AAC, AC3…, and devices, including iPhone, HUAWEI, Mcrosoft, SONY, LG, ect. Download it now. Before start, please free downloadfree download and install the software on your PC. Firstly, clicking “Download Video” on the menu bar, and you will see a window in which you can find buttons Analyze, Download, and Open Folder. You need to copy the URL of suspense sound effect from YouTube that you want to download and put it into the box in the front of “Analyze”. Then you hit “Analyze” button. The program will analyze it quickly. At the same time, you can choose your desired resolution, size and format in the drop list. Step3. Choose the Output Path and Free Download Suspense Music Sound Effects. Choose your familiar path and save your videos so you find it again easily. Finally, the moment that you click the “Download” button with your mouse, our software will execute your instruction of suspense music free download. You also can extract the audio from video and save it in the format of MP3. Click the Output Format, then choose MP3 under the Audio tab. Now, you can hit “Run” in the bottom right corner to convert your video to MP3. You can convert the format of your files to others. WonderFox never advocates any illegal downloads, please ensure that your actions are legal in your country. Downloaded videos and music cannot be used for any commercial activities. There are some popular websites you can take full advantage of, no matter which category of suspense horror sound effects that you will be interested in. Please no hesitate, just take a look below. After browsing these webpages and finding the suspense sound effects, it will be inconvenient when you play suspenseful horror sounds online and the network link is suddenly interrupted. Due to some force irresistible reasons, these above websites may be locked, which makes us impatient. I highly recommend Free HD Video Converter Factory for avoiding such an annoying condition. You can’t only attain your object for suspense horror sound effects free download, but also you can download others you like such as download background music, download VK music, download Anime music. Also you can normalize audio or increase video volume with the software. In the end of this article, I hope the methods that I offer are helpful to you. But, if you can’t understand the tutorials in some place, just contact us at once. And if you think it’s useful, you can share to more people. If you have a lot of horror movie DVDs and want to extract horror sound from these videos, then WonderFox DVD Ripper Pro will be your best assistant. This software can crack all kinds of encryption technology and easily extract audio from DVD in MP3, WAV, AAC, etc. formats.